The Seattle Culinary Academy at Seattle Central College promotes experiential learning opportunities through strategic partnerships and bio-diverse, earth-kind practices through seasonal sourcing. We welcome you to partner with us to develop and recruit the next generation of culinary talent. Contact us about recruiting our highly-skilled Culinary Arts or Specialty Desserts & Breads students and alumni. We are proud to partner with local farms and community organizations to help our students learn about food's journey from farm to table, and how food systems function in our society. As a farmer, vendor and partner of the Seattle Culinary Academy, we value their effort to train future chefs on how to create healthy, delicious meals with sustainably farmed, locally grown products. This in turn strengthens sustainable agriculture in Washington and the Good Food movement as a whole. Our restaurants and pastry case also feature seasonal produce, seafood and other items from local suppliers. In addition, our industry partnerships help us provide students with practical, skill-reinforcing learning opportunities.  If you would like to discuss partnership opportunities, contact SeattleCulinary@seattlecolleges.edu for more information.